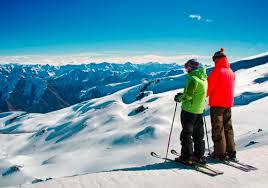 Wanaka is the perfect location for your school snow trip filled with adventure, amazing scenery and no crowds! Fairway Motel is situated just a short 5 minute walk into town, catering for school groups of all sizes. The motel has a myriad of different room options ensuring comfort after a long day on the slopes, at an affordable price. Wanaka Hotel offers accommodation in a great location, surrounded by magnificent mountain and lake views. The hotel conveniently has a couple of onsite restaurants as well as a communal area to bring the school together. Based on a group of 20 students. Arrive in Wanaka and settle into accommodation. Get fitted for ski or snowboard gear in the afternoon. A 2 hour lesson at Cardrona followed by free skiing for the afternoon. Experience the Shotover Jet Boat ride for the morning and spend some time exploring Queenstown. Followed by an afternoon at Skyline Gondola with dinner and a Kiwi Haka Show. Depart Wanaka for Queenstown Airport. *Jet boat ride & Skyline Gondola activities not included in advertised price but can be added, along with numerous other adventure and cultural activities. Alternative ski resorts also available E.g. 2 days at Cardrona & 2 days at either Coronet Peak and/or The Remarkables. Please ask us for options.